Situated in Trail, this guesthouse is 8 mi (12.9 km) from Trail Memorial Centre and 8.2 mi (13.1 km) from Gyro Park. Trail-Rossland Country Club and Rossland Museum are also within 16 mi (25 km). Located in Kootenay Boundary B, this eco-friendly motel is 1.5 mi (2.4 km) from Trail Memorial Centre and 1.6 mi (2.6 km) from Gyro Park. Trail-Rossland Country Club and Rossland Museum are also within 9 mi (15 km). 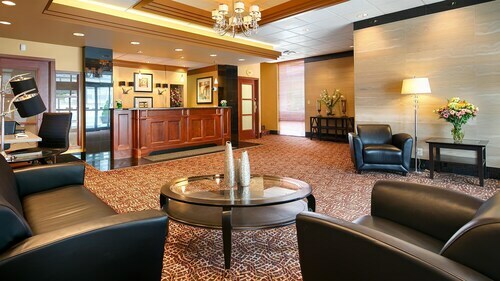 Located near the slopes, this Kootenay Boundary B hotel is in the mountains, within 1 mi (2 km) of Trail Memorial Centre and Gyro Park, and close to winter sports such as cross-country skiing and skiing lessons. Red Mountain Resort and Big Red Cats are also within 9 mi (15 km). 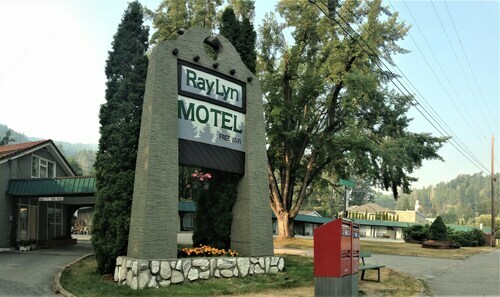 Located in Kootenay Boundary B, this motel is 1.6 mi (2.6 km) from Trail Memorial Centre and 1.8 mi (2.8 km) from Gyro Park. Trail-Rossland Country Club and Rossland Museum are also within 9 mi (15 km). Situated in Fruitvale, this motel is within 12 mi (20 km) of Trail Memorial Centre, Gyro Park, and Champion Lakes Provincial Park. Erie Creek Provincial Park and Trail-Rossland Country Club are also within 16 mi (25 km). 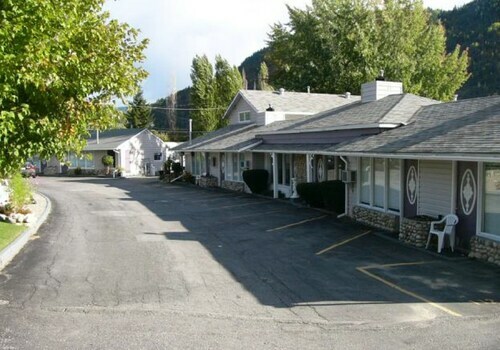 Located in Kootenay Boundary B, this motel is 1.2 mi (2 km) from Trail Memorial Centre and 2.1 mi (3.3 km) from Gyro Park. Red Mountain Resort and Rossland Museum are also within 9 mi (15 km). 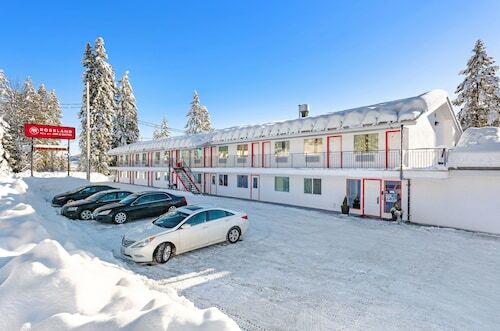 Located in Kootenay Boundary B, this motel is 0.1 mi (0.2 km) from Rossland Museum and 2.5 mi (4 km) from Red Mountain Resort. Big Red Cats is 2.6 mi (4.2 km) away. 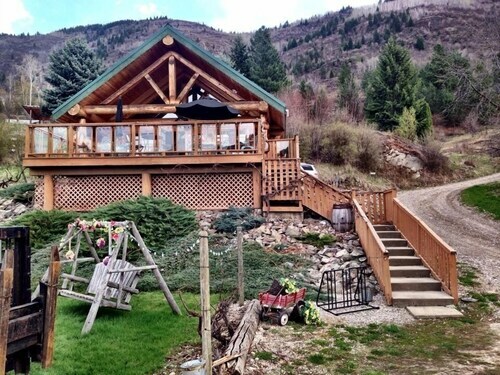 Located in Kootenay Boundary B, this romantic resort is 3 mi (4.9 km) from Trail Memorial Centre and within 6 mi (10 km) of Gyro Park and Rossland Museum. 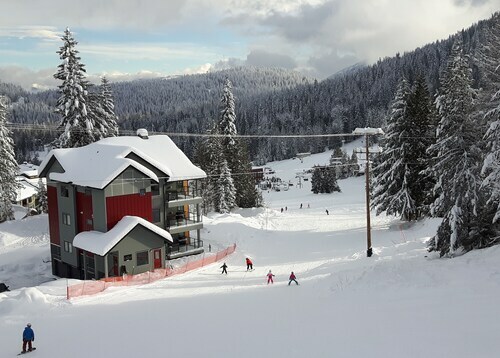 Red Mountain Resort and Big Red Cats are also within 9 mi (15 km).